Merry Christmas, my friends! Christmas is only a little over a week away, and like everyone else, my family is busy enjoying all of the festivities of the season, as well as making preparations for the “Big Day.” This is our favorite time of the year, and with four children, there’s always a lot of work to be done, but it’s worth it, because they really do bring home the true meaning of Christmas. Each year I try to find something Christmas related to write about for the month of December, and this year is no exception. As a Texan, I grew up with a great love of country music, especially those sung by the many artists from Texas, and Willie Nelson was always at the top of that list. During Christmas, the country stations would play Christmas music sung by country artists, and I was always intrigued by one of these songs in particular. Willie Nelson’s song, Pretty Paper, is beautiful and poignant, but with a touch of sadness, and as such, it always stood out to me, especially after I learned the story behind it. My mother was a huge Willie fan and one year she related how he came up with the idea for this Yuletide classic. 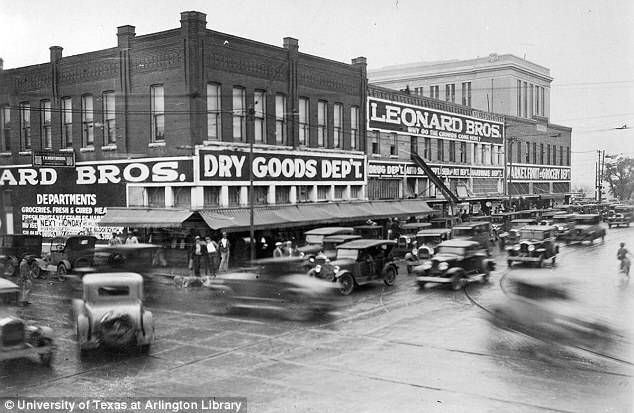 In the early 1960’s, as he was playing the bars and honkytonks of Fort Worth, Willie Nelson found himself in downtown Fort Worth, outside of Leonard’s Department Store. There, in front of the store’s big glass doors, was a man calling out, “pretty paper, pretty paper!” He was selling pencils, wrapping paper, and ribbons from a custom-made vest he wore, while dragging himself along the sidewalk on his hands and knees. On this particular day, the man wasn’t having much luck as the people shuffled past him as they walked in and out of Leonard’s, and the sight stuck with Willie. In 1963, after moving to Nashville, Nelson was walking around his farm when the disabled man in front of Leonard’s crossed his mind. He sat down to write the song, and twenty minutes later, the song Pretty Paper was born. “It was an easy song to write,” Willie Nelson said later. 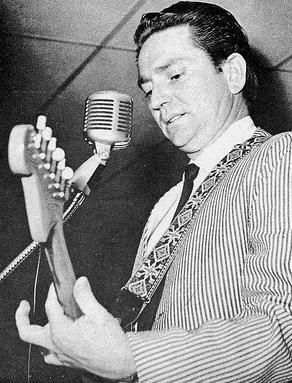 “The easy ones write themselves.” Roy Orbison recorded it in November of 1963, and Willie recorded his own version the following year. The song, with its beautiful melody and haunting words, has become a Christmas classic. In 2013, the Fort Worth Star-Telegram revealed that the man’s name was Frankie Brierton, who was born with spinal meningitis and learned to get around on his hands and knees as a child. According to his daughter, Lillian Compte, he refused all government assistance. “He didn’t want to depend on anybody. He wanted to be on his own and take care of his family. He crawled around on his hands and knees, but we never did without.” He not only sold his wares in Fort Worth, but also in Dallas and Houston. Frankie Brierton died in 1974, and by all accounts, he never knew the song that he had inspired, but I know the song, and his story has certainly inspired me. 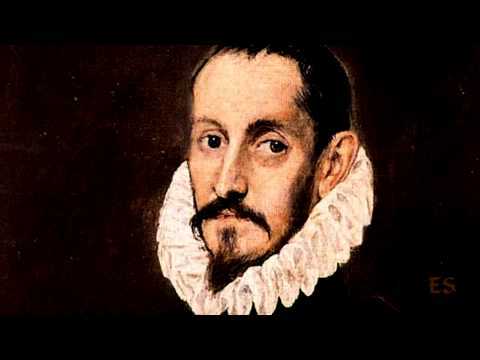 Now, when I hear Pretty Paper, I’m not only moved by what a beautiful song it is, but also by the man it is based on,; a man who rose above his circumstances to live life on his terms and provide for his family. I would like to thank each and every one of you for your readership and support. The success of Under the Lone Star is a real blessing and is due entirely to you. I wish you all a very Merry Christmas and a Happy New Year. Now saddle up, get out there, and enjoy all the Christmas joy that the great state of Texas has to offer. November 11th was Veterans Day, so before I get started with this month’s post, I want to take this opportunity to give a very heartfelt thank you to every man and woman who has served in the United States military. Your service has kept this nation safe and has protected the freedoms that we hold so dear, and while a simple “thank you,” is quite inadequate in payment of the enormous debt that is owed, it is a start. 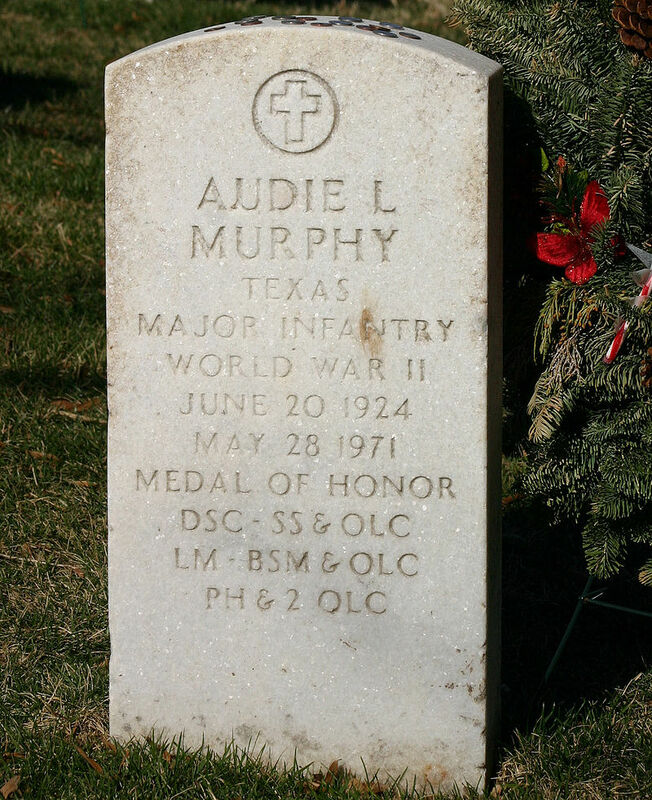 In Texas, we are very fortunate to have been represented by so many great heroes, and none have served with more distinction than Audie Murphy. He rose from humble beginnings to become the most decorated combat soldier of World War II, and eventually embarked on a very successful career as an actor. Audie Leon Murphy was born on June 20, 1925 in Kingston, Texas, to a family of sharecroppers. After the Japanese bombed Pearl Harbor on December 7, 1941, Murphy, like so many, felt the call to enlist in the military, but the Army, Navy, and Marines all rejected him for service due to being underweight and underage. Undeterred, Murphy, with the help of his sister, produced a falsified birth certificate and enlisted in the Army on June 30, 1942. After shipping out for Europe, Audie quickly became a legend in the Army’s 3rd Infantry Division. He fought in nine engagements across the European theatre, was wounded three times, and is credited with over 240 enemy kills. Murphy is widely considered to be the best combat soldier produced by any branch of the military, rising from the rank of Private to Staff Sergeant, eventually receiving a battle field commission as a 2nd Lieutenant. On September 21, 1945, he was released from active duty, having received 33 awards and decorations for conspicuous valor, every one that the United States military has to offer, including the Medal of Honor. 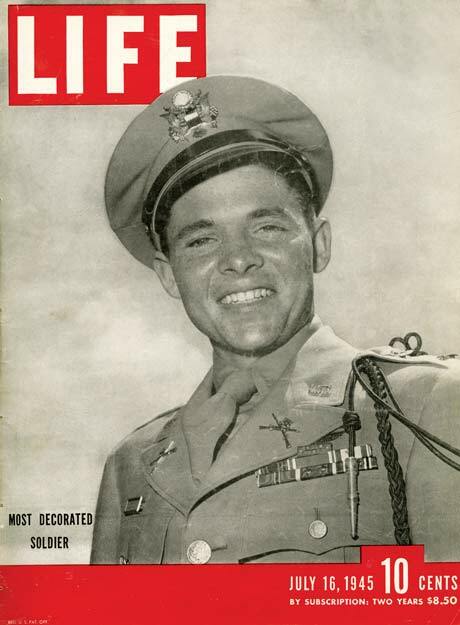 Audie Murphy returned home to a heroes’ welcome, even making the cover of Life Magazine, and it was this cover that caught the eye of movie star James Cagney, who reached out to Murphy and urged him to move to Hollywood and try his hand at acting. His first starring roll came in 1949, and in a career that spanned 25 years, he made 44 motion pictures, mostly westerns and war films. His autobiography, To Hell and Back, became a best seller and was turned into a movie, with Murphy portraying himself in the staring role. It became Universal’s highest grossing film until being surpassed by Jaws in 1975. Despite all of his success, Murphy never strayed from his Texas roots. He owned several ranches, where he enjoyed the cowboy life and raised thoroughbred race horses. When not making movies or tending to his livestock, Audie enjoyed gambling and was a great poker player. It was said he won and lost several fortunes at the poker table and race track. His role as a hero was not limited to the battlefield and movie screen. Murphy suffered from insomnia and depression brought on by PTSD, which was little understood then and carried a great deal of stigma. Instead of remaining silent, he spoke publicly about his struggles, using his own experiences and star status to advocate for Korean and Vietnam vets who were suffering from what was then called “Battle Fatigue.” He lobbied for research, treatment, and understanding for those suffering from war related trauma. 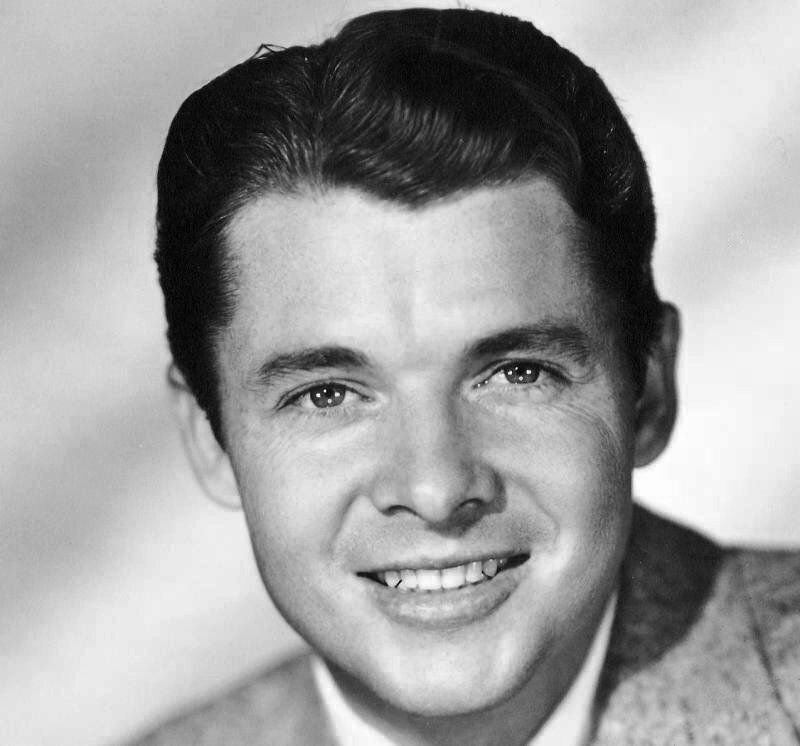 On May 28, 1971, while on a business trip, Audie Murphy was killed when the plane he was a passenger on crashed into the side of a mountain in Virginia. On June 7th he was buried with full military honors at Arlington National Cemetery. His grave is the second most visited grave site, next to that of President John F. Kennedy. 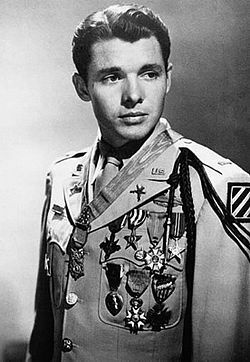 To learn more about Audie Murphy, visit the Audie Murphy American Cotton Museum in Greenville, Texas. Much of the museum is dedicated to military veterans, and it houses a nice collection of memorabilia from Murphy’s life. As always, I appreciate your readership and support, and the success of Under the Lone Star is due to you. Now, saddle up, get out there, and enjoy all that the great state of Texas has to offer. As a child, I spent a lot of time in the Texas Hill Country, and even today, it is my favorite spot in the world. The rolling hills and general ruggedness of the region give it a beauty that has always spoken to me on a very deep level. There is one spot in the Hill Country that has always held a special place in my memory and imagination, it is a place called the Devil’s Backbone. The Devil’s Backbone is a scenic drive that follows a limestone ridge which runs from Blanco to Wimberley. It is wonderful drive that encompasses all the beauty that is found in the Hill Country. 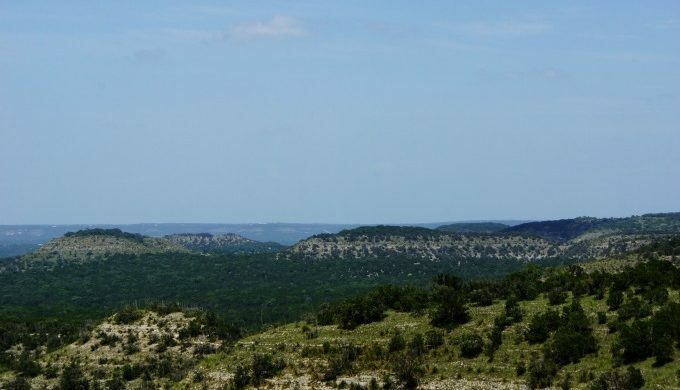 From the highway and several overlooks, one can look out over deep valleys where the limestone cliffs disappear beneath a canopy of live oak, pecan, and mesquite trees. There are many who believe that the Devil’s Backbone is haunted, and reports of strange events have persisted for many years. Most of these stories take place in the heavily wooded areas of the Backbone, where the sun seems to barely reach the deep valley, and where one gets the sense of being alone and totally cutoff from the world beyond. The area is made up mostly of ranches and hunting cabins, and it is from these remote locations where the hauntings have taken place. One of the most popular stories, which has been told by numerous people, is the sound of phantom horses, the hooves of which are heard thundering down the lonely trails of the backbone. Most surmise that these sounds could be the remnants of the Confederate soldiers who mustered at the forts in the area prior to heading out at the start of the Civil War. Prior to the arrival of the first Spanish settlers in Texas, this land was inhabited by numerous Native American tribes, and it was the much-feared Comanche who controlled the Texas Hill Country up until the early 1860’s. 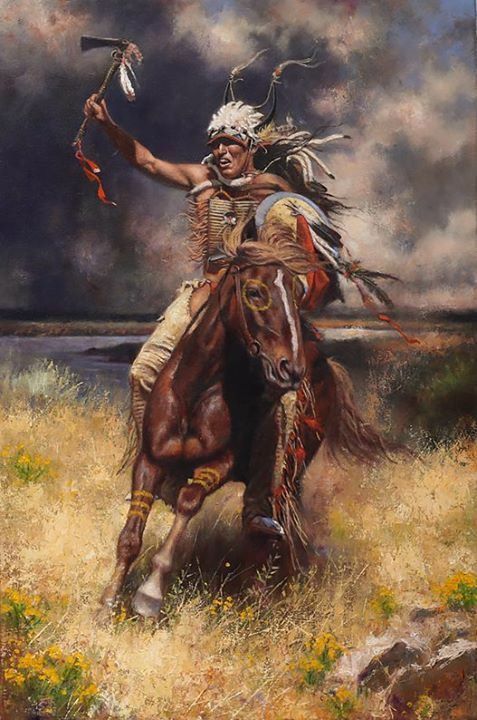 The Comanche were fierce warriors who had long ago defeated tribes such as the Kiowa, Caddo, and Apache, to become the masters of the Texas Plains. Many of the ghostly tales from the Devil’s Backbone involve encounters with Native American spirits, likely those of the Comanche. One such tale is of a hunter who had just climbed down from his tree stand at dusk and was walking back to his hunting cabin. While walking along the darkened trail, he sensed that he was not alone, and upon looking to his side, he saw a dark-skinned shirtless man less than ten yards from him. The man was clad in buckskin breeches and wore the war-paint of a Comanche brave. The Comanche were a deeply spiritual people who had a connection to the land and the animals that shared that land with them. One of the animals that figured prominently in their beliefs was the wolf; it represented the same stoic fierceness that Comanche warriors held dear. Perhaps the strangest tale from the Devil’s Backbone is story of three men who were hiking one day when one of them became separated from the others. As he walked, he came upon a wolf, an animal that is not found in the area these days. 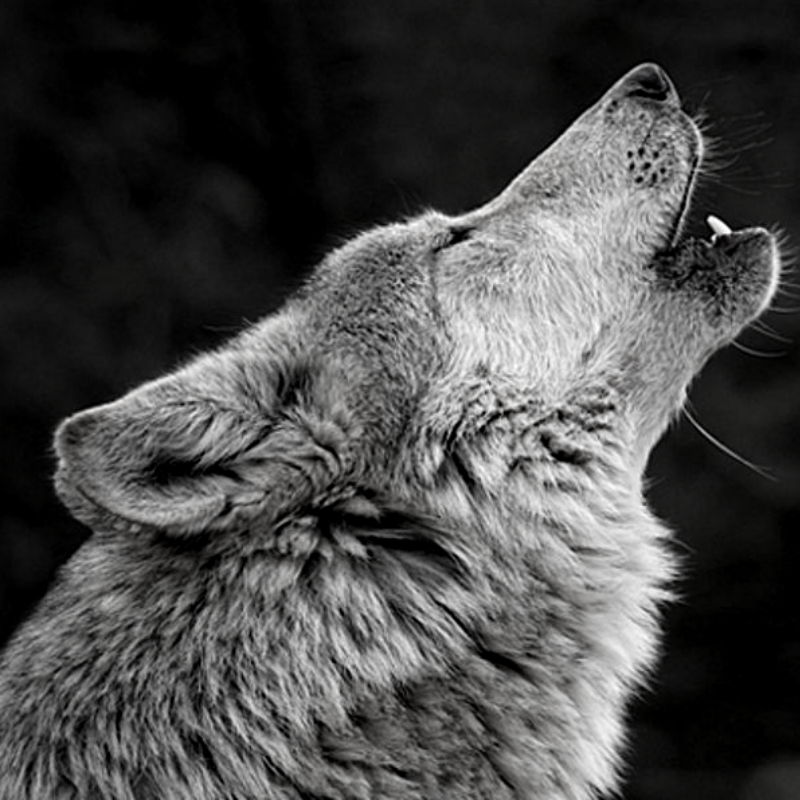 As the man froze with both fear and curiosity, the wolf charged. As the wolf quickly approached his position, the man was certain he would soon be devoured, but as the predator leapt at him, instead of taking him down, the hiker felt the animal pass right through him. When the three friends were reunited, he breathlessly told his tale, but not surprisingly his two friends did not believe his story. Upon returning to their cabin the man began exhibiting strange behavior, including speaking in a low, guttural tone and talking about Indian massacres. As he became more agitated, and his friends became more concerned, a strong gust of wind suddenly blew open the back door of the cabin. After a few moments, the wind died down and the man returned to normal but was unable to explain his behavior. I am not going to proclaim that I believe the Devil’s Backbone is haunted, but as this is October and Halloween is quickly approaching, I’m not going to disagree with those that do. I will tell you that the area does have a power, the power to awe, to inspire, and to raise one’s spirits with its splendid vistas. For me, it is the place where I feel most acutely the beauty and power of God. If you have the opportunity, take a trip to the Texas Hill Country, and while you’re there, be sure to take a drive along the Devil’s backbone. At the very least you’ll enjoy the view and have chance to take some great pictures, and perhaps you might just catch a glimpse of those long past inhabitants of the Lone Star State. Now, saddle up, get out there, and enjoy all that the great state of Texas has to offer. As of this writing, we are over seventy-three years removed from the end of World War II, but it is still the most significant event of the modern age. Those that fought for the allies quite literally saved the world, and it was my privilege to have grown up with some of those heroes and to have heard their stories first hand. In my family, the war was spoken of often and the significance of it was impressed to me at a young age, so it is little wonder that I have always been interested in the history of World War II and the great men who led us to victory. Men like Patton, McArthur, and Eisenhower played extremely important parts to be sure, but it was Admiral Chester Nimitz that was always my favorite. When I was eleven years old, my Grandpa Bob took me to the Nimitz Museum in Fredericksburg, Texas, and from then on, I wanted to learn everything I could about the man. Chester W. Nimitz was born on February 24, 1885. He grew up with his widowed mother and his paternal grandfather in the steam ship shaped hotel in Fredericksburg, Texas, that was owned by his grandfather. Chester was very devoted to his grandfather and considered him the greatest man he had ever known. The older man instilled a sense of discipline in young Chester and he worked equally hard at both his school work and household chores. Nimitz adhered to this sense of devotion to duty his whole life, and it was undoubtedly what helped him to succeed so completely at most everything he tried. 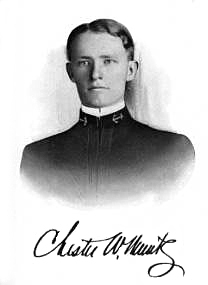 three-day entrance exam and his hard work paid off when in 1901, at the age of 15, he passed the exam and was accepted into the Naval Academy. His determination didn’t end with being accepted and he continued to be completely devoted to his studies, graduating seventh in a class of 114. His career wasn’t without its blemishes though, in 1906 he ran the first ship under his command aground and was court-martialed for placing his ship and crew in danger unnecessarily. This was one of very few set-backs in an otherwise stellar career, and it was soon forgotten when he received a Silver life-saving medal for jumping overboard to save the life of a fellow sailor who had fallen from the deck of a submarine. Early in his career, he was sent to Germany to study diesel engines and used his expertise to help design the Navy’s first diesel ship, The Maumee. During World War I, he served on the staff of the Commander of the U.S. submarine fleet and developed a passion for submarines that would stick with him for the rest of his service. Nimitz was in Washington D.C. when the Japanese attacked Pearl Harbor on December 7, 1941, and he was handpicked by President Roosevelt from twenty-eight fleet admirals who were his senior, to take over command at Pearl Harbor. 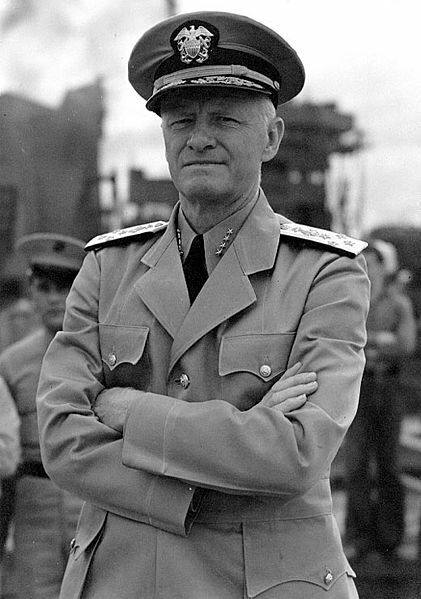 As Commander-in-Chief, Pacific, Admiral Nimitz almost singlehandedly restored the morale and sense of purpose to the Pacific Fleet, and his brilliant tactics at the Battle of Midway, as well as many other naval engagements, paved the way for the island-hopping campaign that eventually pushed the Japanese military all the way back to mainland Japan. 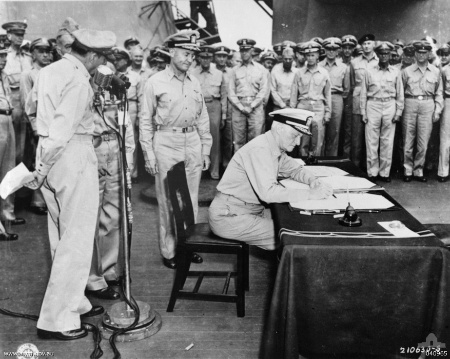 the U.S. dropped the atomic bombs on Hiroshima and Nagasaki, Admiral Nimitz oversaw the Japanese surrender on the USS Missouri. After the War, Nimitz was decorated by more than fourteen countries and worked for the United Nations as a goodwill ambassador. While other military leaders penned books after the war, touting their own achievements and creating rivalries, Nimitz refused to participate, and instead enjoyed a life of quiet anonymity. Admiral Chester Nimitz died on February 20, 1966 and was survived by his wife and four children. I have always been drawn to the unsung heroes, those that let their achievements speak for themselves without feeling the need to blow their own horn, and Chester Nimitz certainly fits that bill. If you would like to learn more about Admiral Chester Nimitz, there are many books written about him, but for a more in-depth history, I would strongly suggest a trip to the National Museum of the Pacific War in Fredericksburg, Texas. It is one of the most amazing museums I’ve ever visited and not only tells the story of Chester Nimitz, but also gives the complete history of the war in the Pacific. Thank you for joining me for another journey through Texas history. Now saddle up, get out there, and enjoy all that the great state of Texas has to offer. Los Almagres Mine: A Fortune in Silver or Just Another Tall Texas Tale? As an avid student of history, I love the tales and folklore that have been handed down for generations. They are as much a part of history as dates and facts. Much of what makes up a culture are its oral traditions, those stories past down from one generation to the next over the dinner table or campfire. Some of my favorite stories are those about lost treasure, and I suppose it’s because of my love of a good mystery. Today’s post is about the Los Almagres Mine, otherwise known as the San Saba Mine, or more commonly, the Lost Bowie Mine. The story of this mine, which is purported to contain the largest amount of silver ore ever discovered, is very short on facts and supportable evidence, but long on action and mystery. But after all, isn’t that what really makes a great tale? Our story begins in 1753, when an expedition seeking a site for an Apache mission, led to the discovery of Los Almagres Mine in what is now Llano County. Lt. Juan Galvan, the leader of the expedition, heard from the local Indians about a hill near San Antonio which contained large deposits of mineral-bearing ore. A group of men from San Antonio was led to the hill by several Apache, but no signs of large silver deposits were discovered, however, reports of the mine spread across the region, and the legend was born. In 1756, Bernardo de Miranda y Flores led another expedition to locate the mine. Twenty-three men left San Antonio, and after arriving at Cerro de Almagre, they dug a shaft and reportedly found a tremendous amount of ore, though the samples they brought back for testing yielded no positive results. Miranda sought funding for a more extensive dig at the site and to set up a presidio, but his efforts proved unsuccessful. An Apache mission and presidio was established along the San Saba River. The presidio’s captain, Diego Ortiz Parrilla, in an effort to have his command moved to Los Almagres, had ore samples dug from the mine, which were smelted at the presidio. Treasure seekers found the slag where the ore had been smelted along the San Saba River and erroneously assumed that was the site of the mine, which gave rise to it being called the San Saba Mine. The San Saba Mission was attacked and destroyed by hostile Indians in 1758 and the mine was never officially opened, but interest in it continued to grow over the years due to the reports of Miranda and Parrilla. In 1788, six prospectors were working where they thought the mine was located, when they were attacked by the Apache. 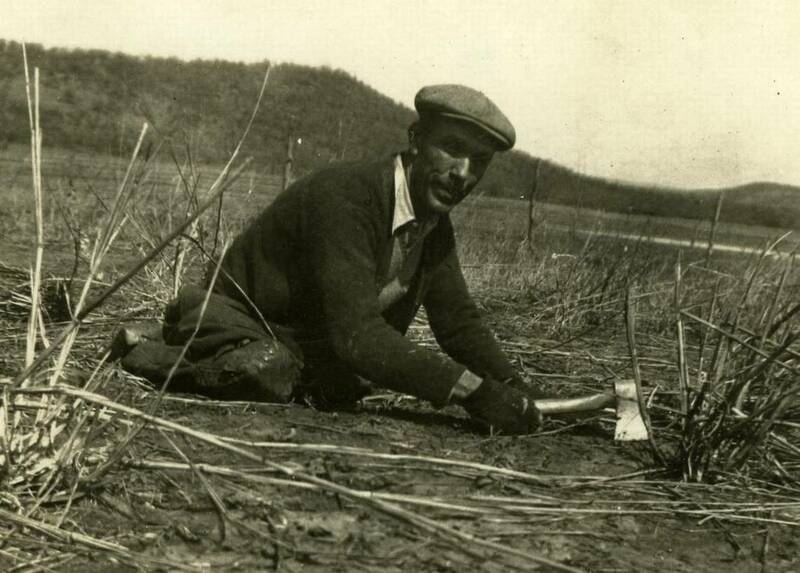 All but one of the prospectors were killed, which ended further expeditions to the area for the next several decades. Stephen F. Austin included the mine on all the maps he made of South Texas, though this was likely done in an effort to enhance interest in the area and were not intended to be taken as the actual geographic location. It seems that this ploy worked, because many flocked to the area in hopes of finding riches, but most of the prospecting was done along the San Saba River which was where most maps showed the mine to be located. James Bowie and his brother Rezin made several forays into the Hill Country, and though they spoke of Los Almagres and helped build the legend of the mine, there is very little evidence that they ever made any real efforts to find it. In 1909, members of the United States Geological Survey, using Miranda’s journals, dug along the hill in Los Almagres. They determined that the mine was unproductive, and no further efforts were made to remove ore from the site, though many die-hard treasure hunters and romantics refuse to believe that the actual site of the Los Almagres Mine has yet been found. The pragmatic historian in me thinks that the lost mine was always more legend than fact, but the part of me that revels in the folklore of Texas believes that just maybe there is a fortune in silver somewhere in the Hill Country just waiting to be discovered. Whatever the truth is, the legend of Los Almagres Mine has given me something I consider to be almost as valuable as treasure, a good plot for a book. The Lost Bowie Mine is the setting for my novel, Bury Me Along Palmetto Creek, and is the basis for much of the conflict in the story. Thank you for giving me the opportunity to share some of the history of Texas as well as one of our most enduring mysteries. Until next time, saddle up, get out there, and enjoy all that the great state of Texas has to offer. My family and I recently took a vacation to the Hill Country and spent a day in San Antonio. I’m not really a fan of big cities, but San Antonio is a great place to visit, as there are so many historic locations to see there. Over the years, I’ve probably visited the city at least fifty times, but we still manage to find interesting sites that we have never been to. Don’t get me wrong, the River Walk and the Alamo are still must-see destinations that I love going back to, but it’s always nice to discover that hidden treasure that has somehow been overlooked. On this trip that hidden treasure was the Casa Navarro State Historic Site. Jose Antonio Navarro was a leading citizen and advocate of early Texas. He was self-educated, becoming an expert in the law of the Mexican colony, and was one of the first supporters of Stephen F. Austin and his plan to colonize the mostly uninhabited land. During the fight for Texas Independence, he was a soldier, statesman, and voice for the cause, keeping the spark burning during the dark days after the fall of the Alamo and Goliad. At Washington-On-the-Brazos, he was one of the signers of the Texas Declaration of Independence, and later signed the Constitution of the Republic of Texas. His work didn’t stop once Texas won its independence, in fact, that was merely where his service began. He served as a representative for the Republic of Texas and as a State senator after the state was annexed by the United States, helping to draft the state constitution. Navarro doesn’t get the recognition of a Crockett, Houston, or Bowie (who was his nephew by marriage), but the work that he did was vital to not only independence, but also to the building of everything that Texas became after. 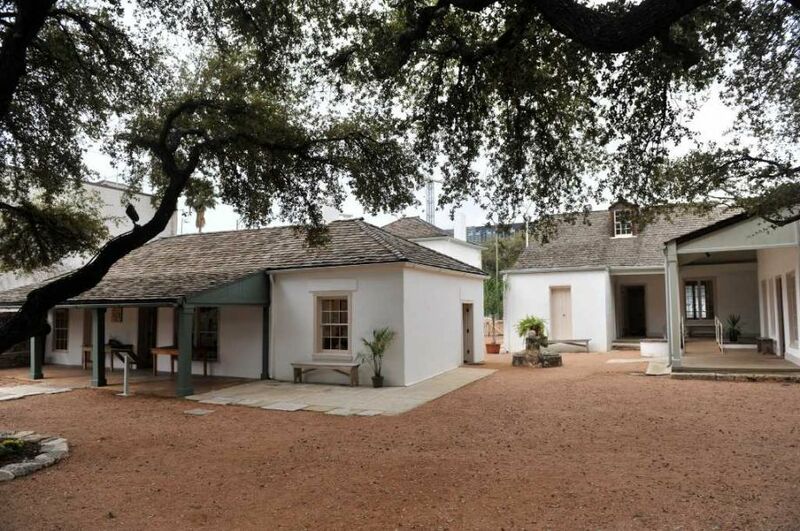 The Casa Navarro State Historic Site is the property that Navarro purchased in 1832 and consists of three structures, one of which was his original home site, and is situated on 1.5 acres. The site is not only an example of how homes in the mid-nineteenth century were constructed, but it also gives a wonderful insight into a man who gave much to this wonderful state. 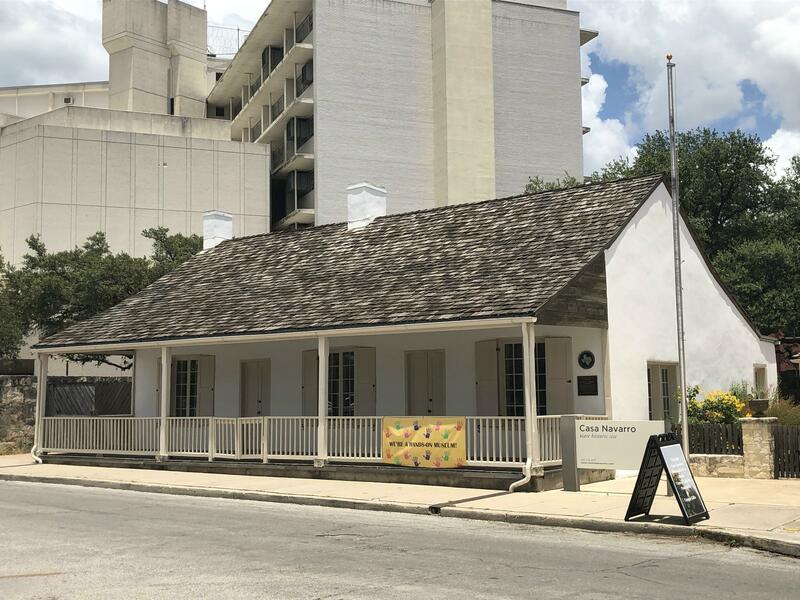 Other than the original home, which was built in 1856, there is a two-story building that many believe served as his law office and a store, and another single-story structure called the kitchen, though there is some doubt as to whether that was ever its function. Navarro lived in the house until his death in 1871, at which point his daughter began selling off the property and its contents. In 1962, the site was designated a Texas Historical landmark and was placed on the National Register of Historic Places in 1972. Today, it is controlled by the Texas Historical Commission, where the houses are open for self-guided tours. 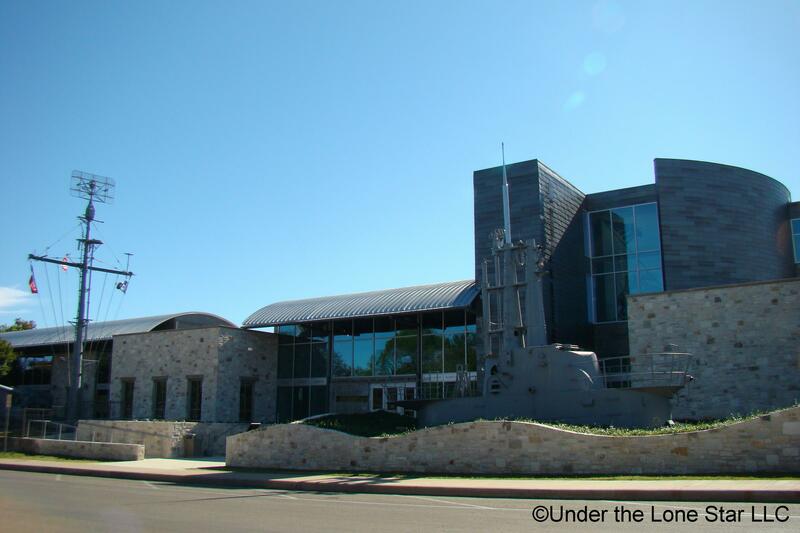 The site is located at the corner of South Laredo and Nueva Streets on the edge of downtown San Antonio and is a must see for anyone interested in the history of Texas and the man who helped build and shape that history. 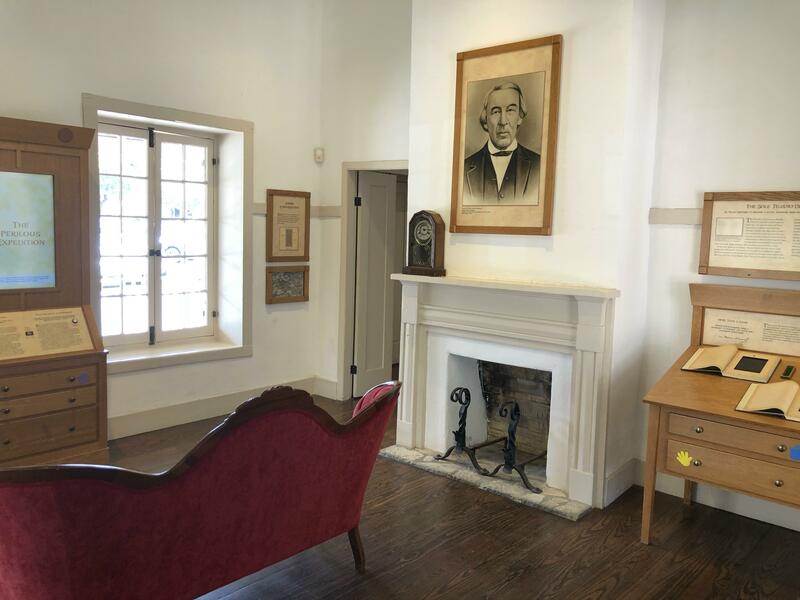 The Casa Navarro Site is just one of hundreds of examples of sites that are available to explore that will both entertain and educate. Speaking of entertaining and educating, I hope I’ve done a little of that myself, and until next time, thank you for visiting Under the Lone Star. Now, saddle up, get out there, and enjoy all that the great state of Texas has to offer. Texas, as much as any state in the Union, embodies the U.S. motto of E Pluribus Unum (out of many, one). We Texans are a product of many different cultures, among these are; Mexican, Spanish, White, and German. One of the cultures that is often overlooked, but certainly no less important than the others, is the Native American culture; especially the Comanche. Their history is our history, their art is our art, and their heroes are our heroes. 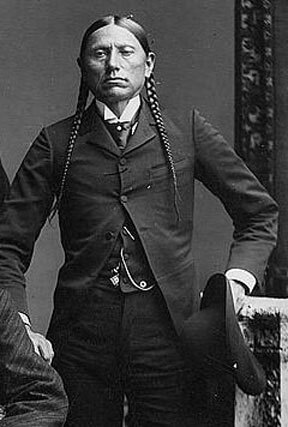 No leader embodies the spirit of the Comanche more than the last chief of the Quahadi band, Quanah Parker. Quanah Parker was born near Wichita Falls, Texas, sometime around 1848. He was the son of Chief Peta Nocona and Cynthia Ann Parker, whom Nocona captured during a raid on Fort Parker, in North Central Texas. 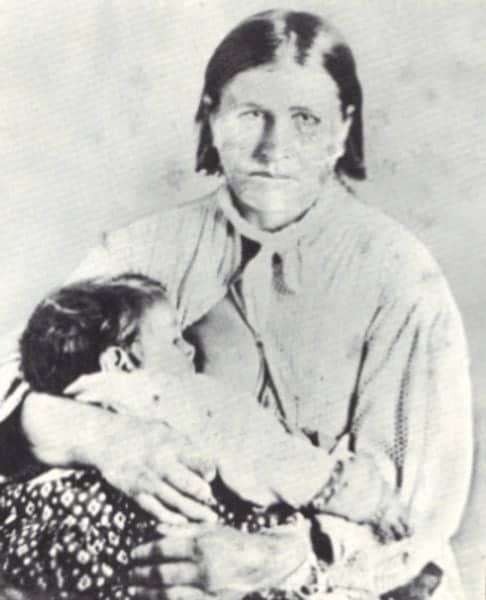 In 1860, the Texas Rangers raided the Comanche camp, rescuing Cynthia Parker and her daughter Prairie Flower, though by then, they considered the Comanche their family, and had to be taken away by force. Quanah was known as a cunning and fearless fighter and became a full warrior at age 15. He joined several different Comanche bands before settling with the Quahadi band, whose hatred of the buffalo hunters that roamed North Texas and the Panhandle, matched his own. In 1867, the U.S. government began moving the Texas tribes onto the reservations, but Quanah refused to move his people there. In June 1874, Quanah met with a medicine man named Isa-Tai, who claimed to have the power to make the Comanche impervious to the White man’s bullets. Together, they gathered an army of seven hundred warriors and attacked a group of buffalo hunters at Adobe Walls. Though the buffalo hunters numbered less than thirty, they had the new Henry repeating rifles, and inflicted heavy casualties on Quanah and his men, forcing them to retreat. After the Battle at Adobe Walls, the U.S. government doubled their efforts to bring in the remaining Indians. 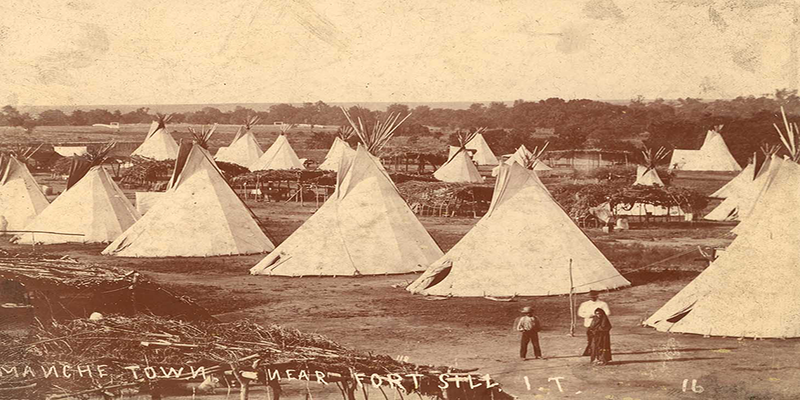 Within a year, the Comanche Wars ended with Quanah’s surrender at Fort Sill, Oklahoma. He settled on a reservation in Southwestern Oklahoma, where he worked as an advocate for his people, interpreting white culture for the Comanche and encouraging them to become educated. He also became a very successful businessman, even becoming good friends with President Theodore Roosevelt. While Quanah Parker spent the last thirty-six years of his life living on the reservation, by all accounts, he enjoyed a fuller life than his mother and sister. They had tried numerous times to rejoin their Comanche family, but were prevented from doing so by their white family. Cynthia Ann was never able to re-assimilate into the white community. When Prairie flower died in 1864, Cynthia seemed to give up, and died in 1870. The stories of white children captured by the Indians almost never had a happy ending, and the tragedy was further complicated by the lack of understanding on both sides. To the families of those captured, bringing them back home seemed like the most natural thing in the world, and they could not understand why the children were unable to adjust back to their old life. The Indians, for their part, did not understand why the Whites would not simply leave the children in the life that they had become accustomed to and obviously didn’t want to leave. Bigotry, hatred, and indifference trumped what was really in the best interest of those involved, though what that might have been would stump even the advanced sensibilities of today’s most well-meaning think tanks. The children were merely pawns in the larger war that raged across the Texas Plains during the first two-thirds of the nineteenth century. 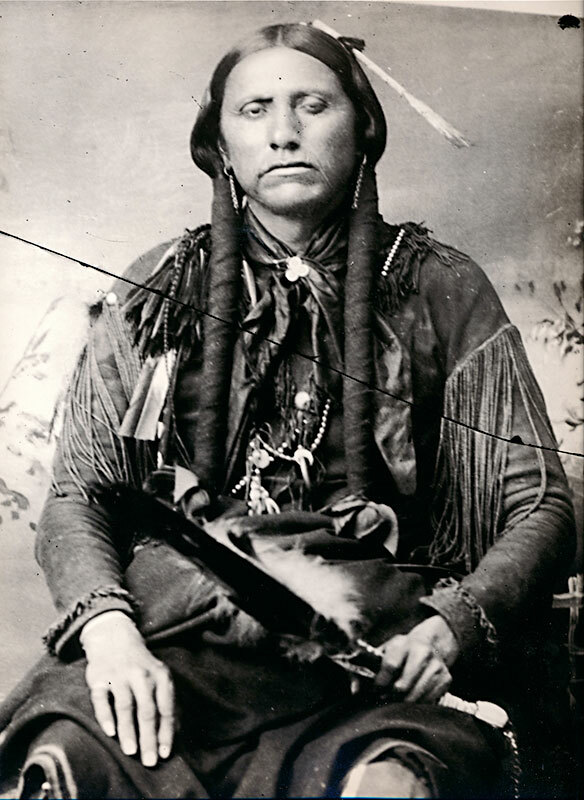 Quanah Parker died at Fort Sill in 1911 and was buried next to his mother. His is the story of a man who rose from the most unlikely of circumstances to become one of the greatest leaders of his people. He fought for what he believed in, and never stopped fighting to achieve a better life for the Comanche. Thank you for reading and for your support of Under the Lone Star. Now, saddle up, get out there, and enjoy all that the great state of Texas has to offer. Ben Thompson: The Greatest Texas Gunfighter? As much as I love westerns, and especially the quintessential gunfight, it must be pointed out that very few of these actually happened in the history of the “Old West.” The subject of this post, Ben Thompson, however, breaks this rule as he was involved in several gunfights, and came out on the winning side of all but one of these. Gunfighter, lawman, gambler, and saloon owner, Ben Thompson was without a doubt a nineteenth century over-achiever, and while he was definitely a Lone Star original, his family roots were about as far from the Texas frontier as one could get. Thompson was born in Knottingley, Yorkshire, England in 1843, and immigrated with his family to Austin, Texas in 1851. As a young boy, he worked in the printing industry in various capacities, though his most important education was gaining the skills to survive among the harsh elements of the Texas frontier, and as it turned out, he was a very quick study. He learned to use a gun at an early age, developing a temper that was as quick as his draw, and at fifteen, he wounded another boy who had made derogatory comments about his shooting ability. Young Ben also developed his own moral code, which occasionally prompted him to use his skills in the defense of others. While working for a bookbinder in New Orleans, he came to the aid of a woman who was being assaulted and killed her attacker in a knife fight. At the outbreak of the Civil War, Ben Thompson joined John Rip Ford’s Second Cavalry, eventually participating in the battles of Galveston Bay, where he was wounded, and the Confederate’s defeat at La Fourche Crossing, Louisiana. His promising career in the Confederate military came to an abrupt end in May of 1865, when he killed a teamster in Austin after an argument over an army mule. Thompson was arrested by the army, though he quickly broke jail and fled to Mexico. Always a firm believer that when God closes a door He opens a window, Ben joined the army of Emperor Maximilian and fought for him until the empire fell in 1867. With no options remaining in Mexico, Thompson returned to Texas, where he was once again arrested and sentenced to four year’s hard labor at the Penitentiary in Huntsville, though two years later his conviction was overturned by President Grant. Hoping for a change in fortune, he left Texas and headed to Abilene, Kansas. His time in Kansas coincided with the heyday of the Texas cattle drives, and not being one to pass up on a good opportunity, Thompson opened a saloon with friend and fellow Civil War veteran, Phillip H. Coe in 1871. Thompson was later hurt in buggy accident that also injured his wife and child. 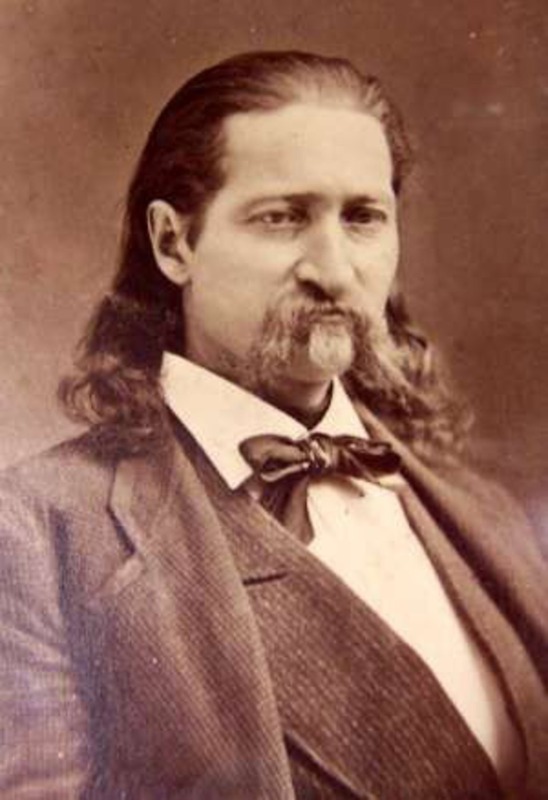 While Ben was recuperating, his partner was killed in a gunfight with Abilene Marshal, Bill Hickok. The nature of the dispute is not clear, but with “Wild Bill,” it could have been anything from a serious violation of the law, to a minor disagreement over a hand of cards. 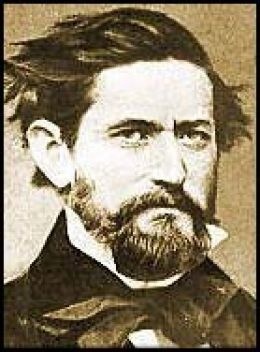 Once again, circumstances turned against him, and by 1874, Thompson was back in Texas making his living as a gambler. On Christmas day in 1876, Ben was at Austin’s Capital Theatre when a fight broke out. Thompson attempted to help one of the troublemakers, when he was fired on by theatre owner, Mark Wilson. Thompson fired back at Wilson, killing him, though he was found to have fired in self-defense. Since arriving in the United States, Ben had been forced to grow up fast, but he had displaced grit and courage, and he was able to hold his own against the most brutal characters that the west had to offer. His knack for survival, though, left little time for building wealth, or even a structured life for his family. Always lured by the promise of easy money, the Leadville silver strike drew Thompson to Colorado in 1879. 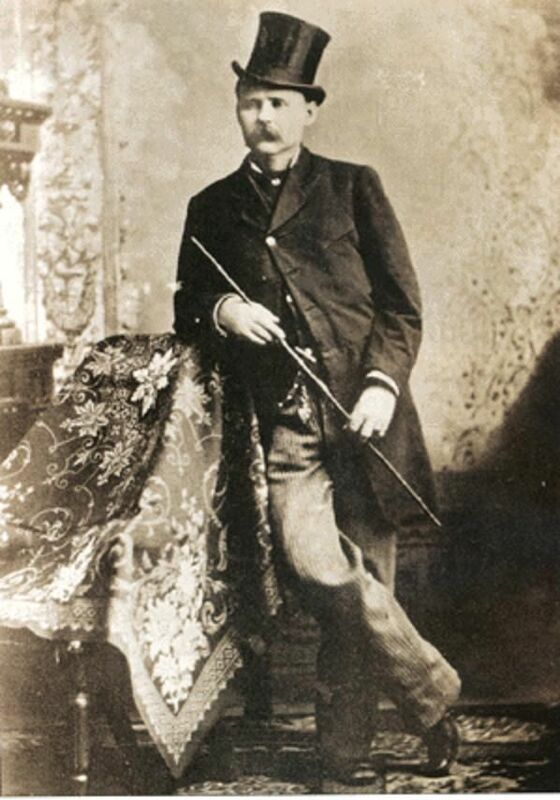 There he signed on with a group of gunmen led by “Bat” Masterson, who were fighting for the Atchison, Topeka, and Santa Fe Railway in their right-of-way dispute with the Denver and Rio Grande Railroad. With the money he received from the railroad, Ben was able to return to Austin and open another saloon, although any hope he may have had at finally settling down to enjoy a normal family life were soon to be doused permanently. 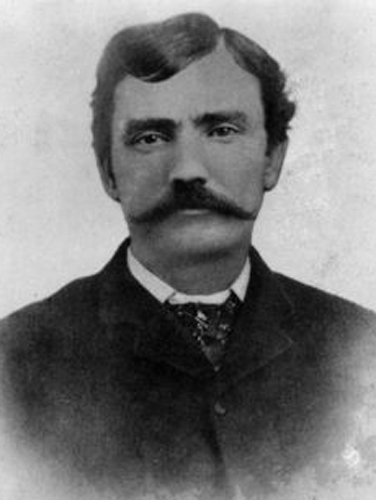 With a reputation as an honest and generous businessman, as well as a fast and deadly gun, Ben Thompson was twice elected as Austin City Marshal. In 1882, his main vocation of gambler interfered with his job as town marshal when he killed Jack Harris, the owner of the Vaudeville Theatre, during an argument over a game of cards. After once again winning an acquittal on a murder charge, Thompson returned to Austin to a heroes’ welcome. His warm reception may have given Ben a sense of over confidence that trumped his own instinct for survival. On the evening of March 11, 1884, he walked into the Vaudeville Theatre with his friend John King Fisher, the Deputy Sheriff of Uvalde County. Within minutes of entering the theatre, both men were shot in the back and died instantly. While no one was ever charged in the assassination, most locals believed that partners of Jack Harris were behind it. In what may be the highest praise a gunfighter could receive, Bat Masterson said of Ben Thompson, “It is doubtful if in his time there was another man living who equaled him in a life-and -death struggle.” I can’t improve upon Bat’s words, so I’ll just end by saying that Ben Thompson lived life on his own terms and by his own code and has given Texas something that all historians can appreciate, a collection of colorful stories to pass down to future generations. Thank you for your readership and support. Until next time, saddle up, get out there, and enjoy all that the great state of Texas has to offer. In my western novels, I enjoy using as many historical figures as I can, and while I will usually adapt them to fit the story line, I try to keep them as historically accurate as possible. Part of the fun of using real people from history is learning their story during the research process, and never was this more true than when I researched Benjamin McCulloch for my second novel, Hell and Half of Texas. Like many young men of the time, he came to Texas to fight for independence, and ended up helping to build the early history of his adopted state. Benjamin McCulloch was born on November 11, 1811 in Rutherford County, Tennessee, though like many families of that time, the McCulloch’s moved between Tennessee, Mississippi, and Alabama as they sought to improve their circumstances. Ben’s father, Alexander, came from a prominent North Carolina family, but the Revolutionary War decimated much of the family’s wealth, and he managed to squander what little inheritance he did receive. By the time that Ben came along, the family could no longer afford to even educate their children, although several of his brothers were taught for a time by close family friend, Sam Houston. Young Benjamin made his way the best he could, earning money by farming, hunting, and rafting, but he soon realized that his future lay beyond his home state. In 1835, Ben and his brother Henry, seeking adventure and a better life, followed another family friend, Davy Crockett, to Texas. Revolution was brewing in the Mexican Province, and many young men flocked from the United States to find their fortunes as Texians. By the time that Ben and Henry arrived in Nacogdoches, Crockett had already moved south, and Ben set out for San Antonio by himself. In what may be the most fortunate cases of the measles in history, Ben McCulloch was delayed in reaching the Alamo, and by the time he was well enough to travel, the mission had already fallen to the Mexican Army. 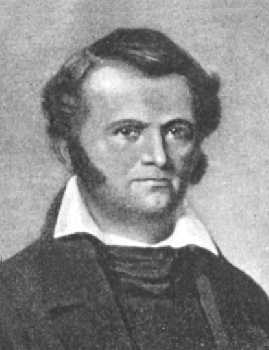 Having avoided the massacre at the Alamo, McCulloch joined Sam Houston’s army, who was currently staying just one step ahead of the pursuing Mexican forces. At the battle of San Jacinto, Ben commanded one of the Twin Sister cannons, and distinguished himself so much in the eyes of Houston that he was given a battlefield promotion to First Lieutenant. After the Revolution, Ben joined the Texas Rangers under John Coffee Hays where he distinguished himself as an able scout and Indian fighter. As a ranger, he made such a name for himself, that in 1839, he ran for and won election to the House of Representatives for the new Republic of Texas. 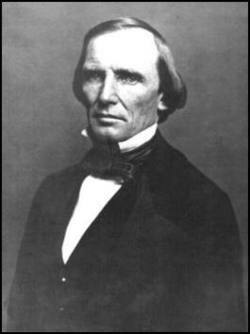 The campaign was contentious, and resulted in a dispute with Rueben Ross, with whom McCulloch fought a rifle duel. During the duel, Ben was wounded in the right arm, which remained crippled for the rest of his life. Ben chose not to run for re-election in 1842, and instead lent his services as a scout to the Texas Army, who were once again battling incursions by the Mexican Army. In the army, he was once again serving under John Hays, who’s Texas Rangers formed the bulk of the Texas forces. As a scout, McCulloch was instrumental in helping to force the Mexican Army back below the border, and in the process, he once again endeared himself to his adopted country. In 1845, after Texas was annexed into the United States, McCulloch parlayed his popularity into a seat in the new Texas State Legislature, though once again a war would soon lure him from politics back to the battlefield. After the outbreak of war with Mexico, he raised a company of Rangers and moved with them to the Rio Grande, where he was made Chief of Scouts by General Zachary Taylor. His scouting expeditions into Northern Mexico proved invaluable in securing important intelligence for the army and earned him adulation from Taylor and the nation. Taylor promoted him to Major of the Texas Volunteers. Never one to waste an opportunity, Ben McCulloch made good use of his popularity and political capital to try and secure an appointment to a military command, but his lack of education foiled these attempts. In 1852, Ben was made United States Marshal for the eastern district of Texas under Judge John Charles Watrous. In this role, he was appointed to a commission that met with Brigham Young, and McCulloch was credited with helping to stop an armed conflict with the Mormons. When Texas succeeded from the Union, Benjamin McCulloch was commissioned as a Colonel and ordered to accept the surrender of all U.S. forts in Texas. On February 16, 1861, he took control of the arsenal housed in the Alamo, which were used to arm the newly formed Texas regiments. 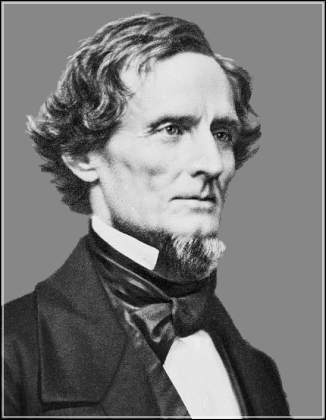 On May 11, 1861, Jefferson Davis appointed McCulloch a Brigadier General and he was assigned to Indian Territory. Eventually, he established his headquarters in Little Rock Arkansas, where he began to build his army with regiments from Arkansas, Louisiana, and Texas. On March 7, 1862 at the Battle of Pea Ridge, Ben McCulloch led his army and drove the Union forces from their position, but as the day wore on, the enemy regrouped and fortified. McCulloch rode ahead of his own lines to scout the enemy position, but as he made his way through the thick brush, the Federals opened fire, knocking McCulloch from his horse and killing him instantly. His command passed to General James Mcintosh who was killed moments later as he led an expedition to recover Ben’s body. With the death of the two commanders, the confederates lost the Battle of Pea Ridge and ultimately Arkansas. Ben McCulloch was not born here, but through a dedication to service and a drive to build this land into something great, he became a native Texan and earned his place as one of the great heroes of the Lone Star State. 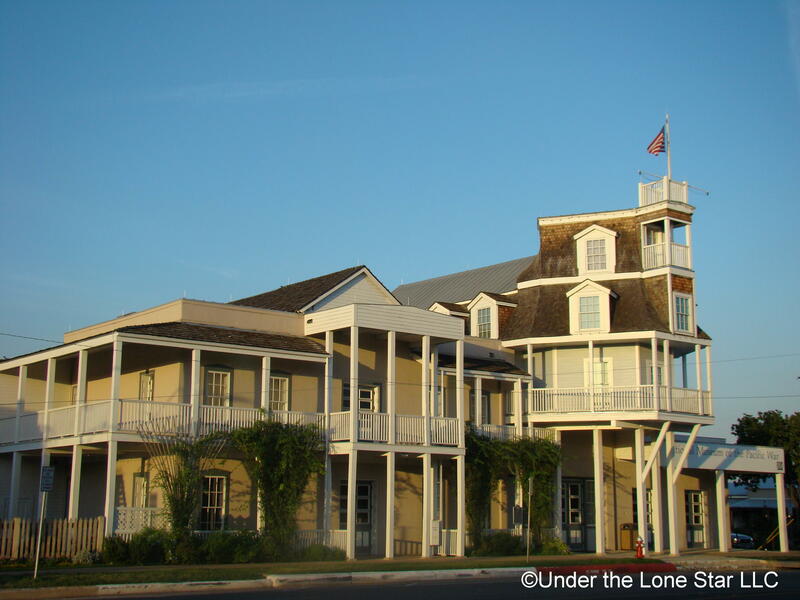 As always, your readership and support of Under the Lone Star are greatly appreciated, and I am gratified to see that my love of the stories and legends of Texas are shared by so many others. Now, saddle up, get out there, and enjoy all that the great state of Texas has to offer. I don’t consider myself an expert on many things, certainly nothing that could be called terribly important or would improve humanity in any significant way. I have no special knowledge that will change people’s lives, and no marketable skills that have as yet added many zeroes to the end of my bank account, but one of the things I do know is the food of my native state. The wait is over! I have arrived. My life has been a quest. Not a quest that would lead to fame of fortune, but a quest to find Texas’ best cuisine. In past posts I’ve covered some of my favorite places for Tex-Mex, and the very best barbecue to be found anywhere (The Salt-Lick), but today I’ll be talking about that most Texan of all foods, the chicken fried steak. 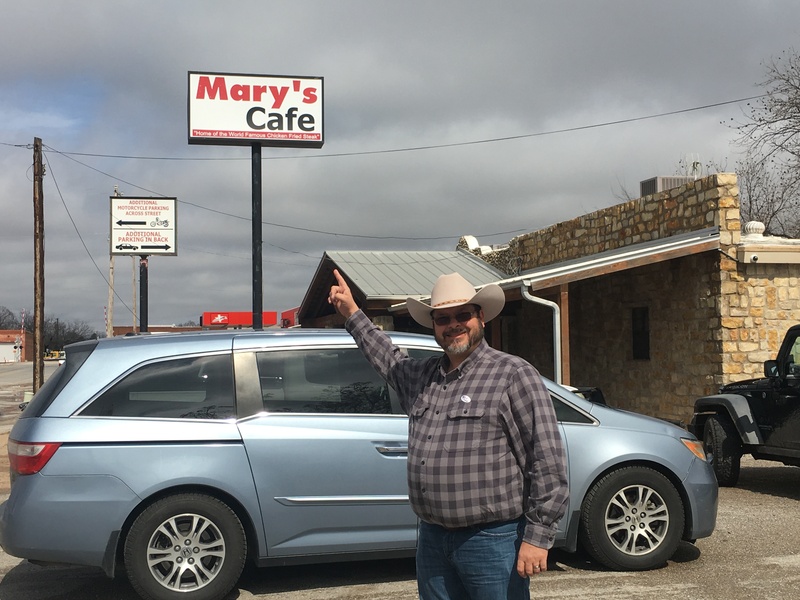 While there are many establishments that produce a fine version of this Texas classic, the top of the list would have to be Mary’s Café in Strawn, Texas. Like all quests, this one is not without it’s trials and tribulations, but going through them is the test one must pass to be deemed worthy. In the case of Mary’s, the trial involved is the drive, which, from most places, is considerable. Strawn is roughly 75 miles west of Fort Worth on I-20, so it’s not exactly around the corner, but trust me, it’s well worth the drive. My friends, I give you the biggest MEDIUM chicken fried steak I’ve ever seen. It was DELICIOUS! The chicken fried steak can be ordered in small, medium, or large, and comes with a serving of mashed potatoes the size of a small mountain, toast and a side salad. On our visit, my wife and I both ordered the medium, and we took home enough steak and potatoes to have an enormous lunch the next day. Truth be told, if we had ordered the small, we would have had plenty left for a proper lunch. While most restaurants that boast a huge chicken fried steak provide more crust than steak, Mary’s steak is a perfect combination of breading and meat. It is fried to perfection with just the right amount of seasoning and would be wholly enjoyable by itself, but in Texas that would be near sacrilegious, so it is served with a large side of cream gravy that is pure perfection itself. The mashed potatoes are blended with sour cream, which I am not opposed to, but if I had one complaint, it would be that there was a touch too much sour cream in mine. That one small complaint aside, I will have to concur with all of those who put the chicken fried steak from Mary’s at the top of their list. 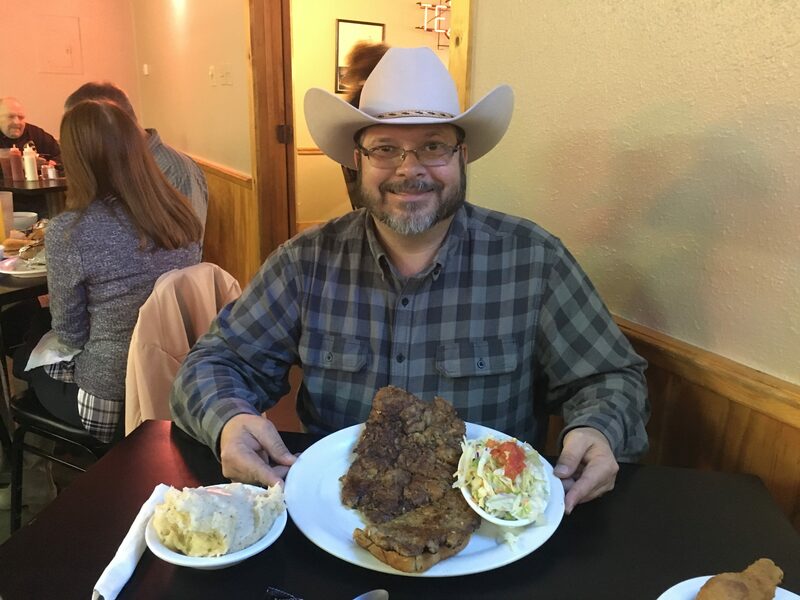 For those who, for whatever reason, don’t care for chicken fried steak, there are plenty of other offerings on the menu, which I’m sure are equally delicious, but to me that would be like going to my favorite barbecue spot and ordering a salad. I started this post by stating that whatever expertise I might possess would not be capable of improving humanity or changing lives, but on second thought, a trip to Mary’s might just accomplish both. Now that you are suitably hungry and probably plugging Strawn into your phone for directions, I will sign off by thanking you for your loyal readership. Now, saddle up, get out there, and enjoy all that the great state of Texas has to offer.